Samherji is involved in the fishing industry in Poland through it´s daughter company DFFU which owns shares in the fishing company Atlantex Sp.z.o.o. The company Arctic Navigations Sp.z.o.o. is also operated in close cooperation with Samherji. The Polish fishing company Atlantex Sp.z.o.o. is operated in close cooperation with Samherji. 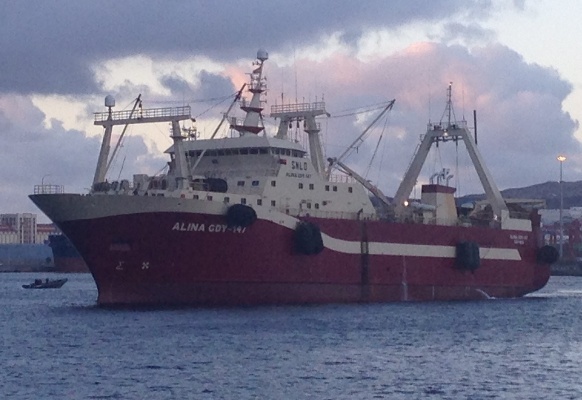 Atlantex was incorporated in 1997 and operates the trawler Alina GDY-147. The Polish fishing company Arctic Navigations Sp.z.o.o. is operated in close cooperation with Samherji.